As History.com notes, on this day in history the Viet Cong attacked the U.S. Embassy in Saigon. 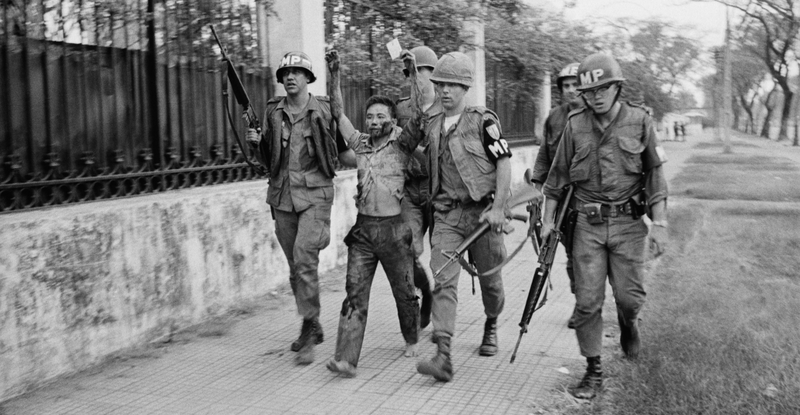 On this day in 1968, as part of the Tet Offensive, a squad of Viet Cong guerrillas attacks the U.S. Embassy in Saigon. 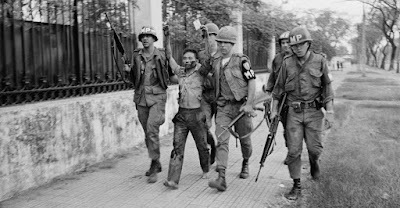 The soldiers seized the embassy and held it for six hours until an assault force of U.S. paratroopers landed by helicopter on the building's roof and routed the Viet Cong. The Tet Offensive was planned as a massive, simultaneous attack on the major cities and provincial capitals of South Vietnam. It was scheduled to take place during Tet, the Vietnamese lunar New Year celebration, which was traditionally a time of decreased fighting. ...The Timing and magnitude of the attacks caught the South Vietnamese and Americans forces off guard, although they quickly recovered and recaptured the occupied areas. Militarily, the Tet Offensive was a disaster for the Communist, who suffered devastating losses. However, while the offensive was a crushing military defeat, the Communists scored a huge psychological victory that would ultimately help them win the war. All of this reminds me: I continue to have a question (well, hundreds of questions) about the (good, bad, and ugly) reasons for and mistakes involved in the Viet Nam involvement. Perhaps you can recommend some useful reading. You can read my piece, which i linked to above, and then read the two books mentioned in the piece.